When you think of a fuel-saving machine, you may think it has to be small or underpowered. Actually, it can do all things well when that fuel saver is the 2018 Toyota Avalon Hybrid. Pushing into premium territory with a variety of trims, this is one handsome ride. This hybrid is ready to pamper you with standard power seats with optional heat and ventilation. Color schemes include almond, black and light gray. You won’t hear the road thanks to the acoustic glass and extensive sound insulation. You will hear your favorite music compliments of the Entune touchscreen system. Modern tech includes push-button start, a wireless charger, and automatic climate regulation. Value your trade at Pitts Toyota dealer serving Dublin, GA. The Avalon Hybrid represents the progress that Toyota has made in hybrid technologies over the years. With 200 horsepower, it has solid credentials for highway travel and other challenges. Fuel economy averages 40 mpg city and 39 mpg highway. At red lights, a stop-start system can save you even more during city drives. The low-speed EV mode may not use any gas at all. You’ll find many crash avoidance features are standards on the Avalon Hybrid. This includes an auto brake tied to pedestrian detection and a collision watch. The lane departure system works to keep the sedan straight in its lane lines. Adaptive cruise control regulates your highway travel with less input from the driver. Automatic high beams take care of the light level at night. You can also get a blind spot monitor and other helpful tools. 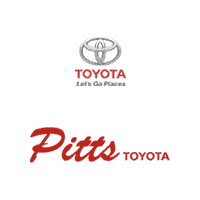 Take a look at Pitts Toyota dealer serving Dublin, GA.